Kaleidoscope is a step forwards and back for Mekong Delta, at least for the Doug Lee-fronted lineup. Lee has integrated himself very well on this recording, with a presence both ethereal and clinically malign. On the previous album, he felt like a fish oh so slightly out of water, but here you would never know that he wasn't always the preeminent voice of the German band. This is also the most cleanly mixed effort the band had come up with, its clean studio polish going a long way to the distinction of each note cast through its labyrinthine journey into the id. Unfortunately, outside of 3-4 firebrand numbers, Kaleidoscope swerves so far into a pure, dry progressive metal terrain that it comes up well short of the inspirational blaze of their past works. Not the case for "Innocent?" 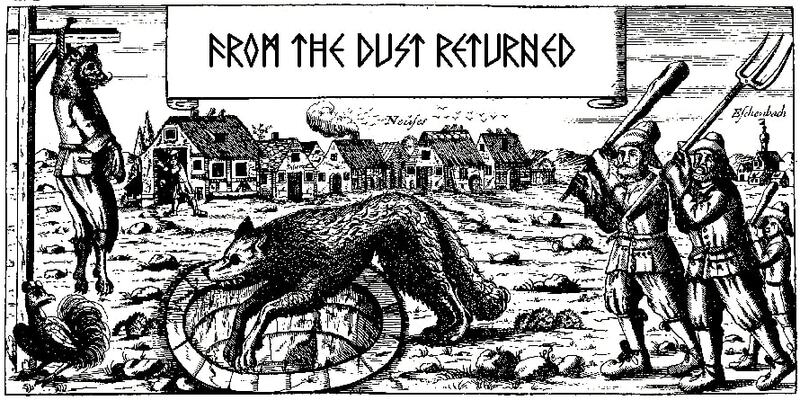 and "Sphere Eclipse", both of which channel the band's frenetic, high pitched thrashing circa The Principle of Doubt and The Music of Erich Zann. But once the reins are loosened, beginning with their cover of Genesis' "Dance on a Volcano", the album falls off the tracks. Don't get me wrong, they do a fair job of handling the prog/rock staple, but with the tranquil instrumental "Dreaming" and then the middling, melodic turmoil of "Heartbeat" and "Shadow Walker", there are very few riffs of note, despite the sporadic, spastic outbreaks that dominate the latter. Then they lurch into another cover, that of the Aram Chachaturian classic "Saber Dance", metalized in full, curious and spunky, yet somehow less silly than the original. The closing tracks, "Misunderstanding" and "About Science", are actually quite good, the best on the album, the former with some great Ralph Hubert bass work that creates a mesmerizing substrate to the shifting, melodic thrash that brought me right back to what I so enjoyed about the band in the past. 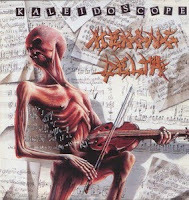 I'll admit though, that even at its best, Kaleidoscope sounds derivative of the time signatures and riffing complexes manifest on prior albums. It's stagnant yet proficient, the type of album that might thrill the prog rocker or intellectual metalian but leave everyone else craving. I've got no problem whatsoever with Lee's performance, or the instrumentation, through which Uwe Balstrusch and Ralph Hubert re-affirm and possibly sharpen their personal skills, but the songs almost unanimously fail to impact me like the band once did even under the shaky tutelage of their earlier vocalist, Wolfgang Borgmann. Mekong Delta is nothing to scoff at here, because they can play most other musicians under the rug even on a bad day, but despite the glint of the production, and the professionalism on parade, this is one of my least favorite in their catalog.